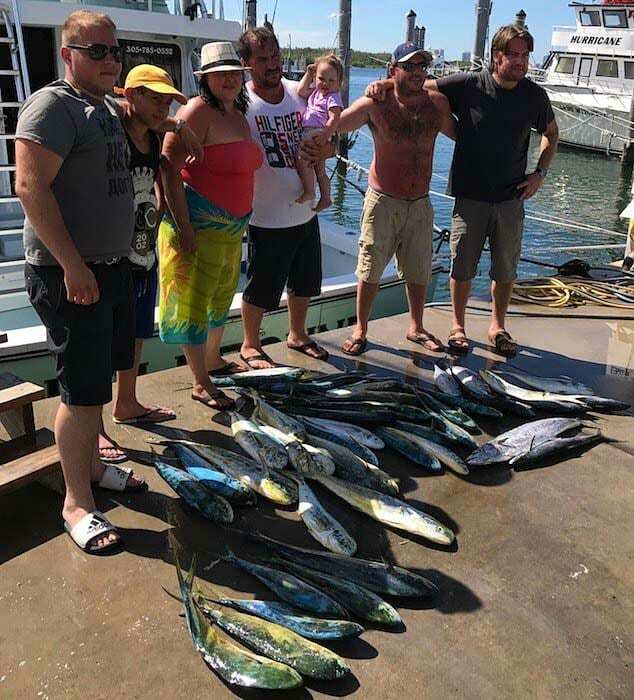 Dolphin Fish Mahi Mahi or Dorado Fish what ever you chose to call them. They are fun to catch and great to eat. Dolphin Fish Mahi Mahi or Dorado fish is a great fish to target in the summer. These amazing game fish school up and chase baitfish through the warm Gulf Stream waters off Miami Beach. The schools of Dolphin are typically eight to fifteen miles off shore. We find Mahi feeding under birds such as Frigate Birds and Shearwaters. Floating debris, Sea Turtles and Sargasso weeds are also terrific places to find schooling Dorado. 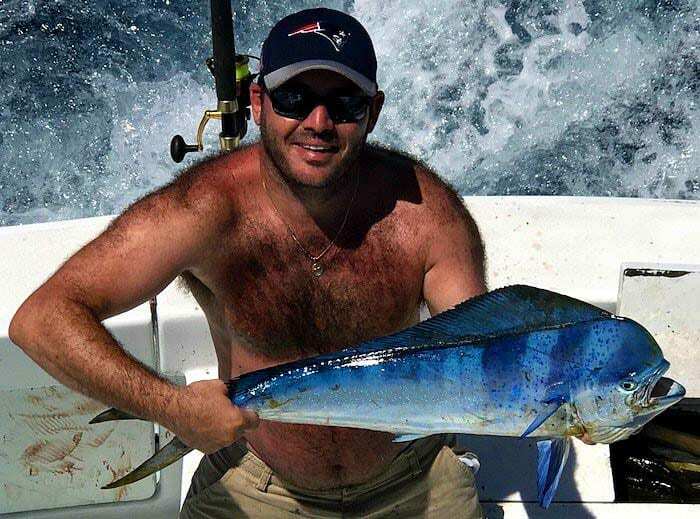 If you are the lucky angler you may also get a chance to catch a Slammer Bull Dolphin or a mated pair, Bull and Cow. As we head off shore we usually pull two rods with bird teasers and small feathers or lures in the short riggers. There baits can be trolled quick speed. That let’s us cover a lot of ground as we search for Dolphin Fish Mahi Mahi or Dorado. We keep a pair if rigged ballyhoo hanging in the long riggers, but not in the water.When we find a fishy looking area, we will put the pair of Ballyhoo in the water and slow down and troll the area. Once we hook up we watch for following fish. Casting live baits like Pilchards or small blue runners usually will lead to quick hook ups with multiple fish. We try to determine witch way the Dolphin fish are heading. Keeping the boat moving with the fish will help keep the entire school behind the boat. We try to keep four to five fish on the hook and rotate one rod at a time. This keeps the fish feeding and following.Just don’t forget to always leave one in the water.! !